NEC Display Solutions recently debuted its new VE281 and VE281X mobile projectors, both of which have been specifically designed with the small-to-medium-sized businesses, education environments, corporate conference rooms and mobility applications in mind. 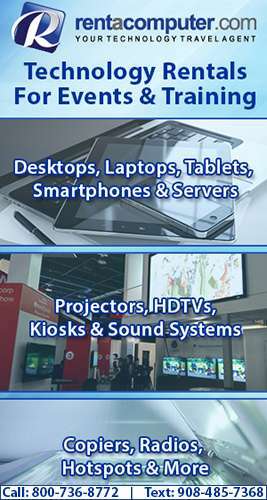 Both of these projectors are capable of producing 2,800 lumens of brightness, are lightweight, affordable and produce high-contrast images. In addition to that, each one comes with a powerful 7-watt speaker built-in for clear, crisp audio. 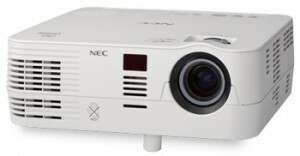 The automated technologies, including Auto Power On and quick startup/shutdown, allow both of these projectors to be eco-friendly. Speaking of eco-friendly, both devices also have ECO Mode technology, a carbon savings meter, extended filter life and energy-saving features that are also key elements in the design. Intelligent Driving Scheme (IDS2) technology has also been incorporated in order to extend the lamp life of the projectors to up to 6,000 hours in ECO Mode and 4,000 hours in normal use. Both the VE281 and VE281X will be available in January 2013 with estimated retail prices of $369 for the VE281 and $449 for the VE281X. Each projector also ships with a 2-year limited parts and labor warranty while the lamp is covered for one year or 500 hours. In addition to that, education customers can receive an additional year while registered Star Student customers receive an additional 2 years to the warranty.